Ideal for use along with Vector Optics Stinger, Omega, Maverick, Ravage, Ratchet, Tomcat red dot sights. Field of view ~ 49 feet at 100 yards. Adjustable windage and elevtion dials. Fast focus eyepiece with ocular lens adjustment. Height from the base to the ring center ~ 36mm. Scope with mount weighs ~ 325 grams. Shock proof, high-durability aircraft grade 6061 T6 aluminum alloy in black matte body covered with rubber. Scope includes 30mm flip-to-side weaver mount, lens caps, cleaning cloth, and hex keys. 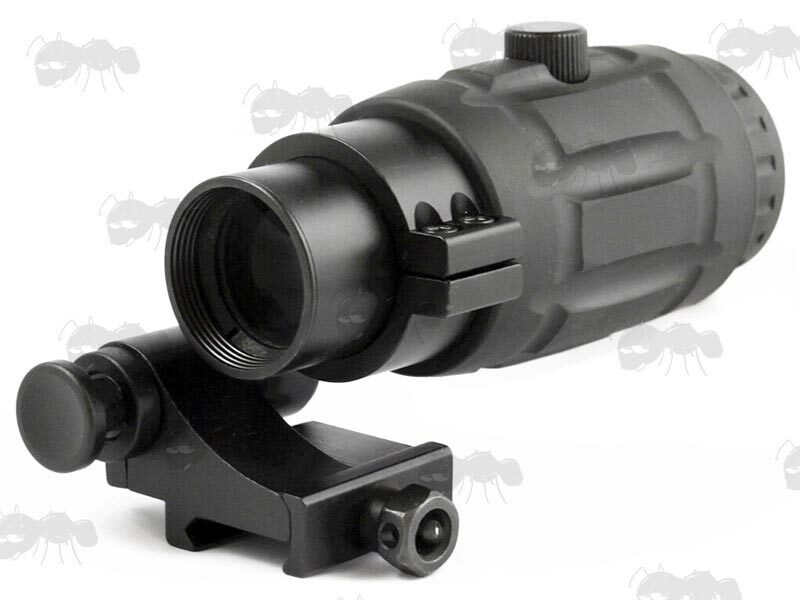 Crystal sharp clear magnifier that compliments a large range of red dot sights. Including EoTech, Aimpoint, Vector Optics Stinger, Omega, Maverick, Ravage, Ratchet, Tomcat sights. High-spec magnifier that offers exceptional clarity and is fully adjustable. The reticle can be centered even if the height of the red dot sight is at a different height. 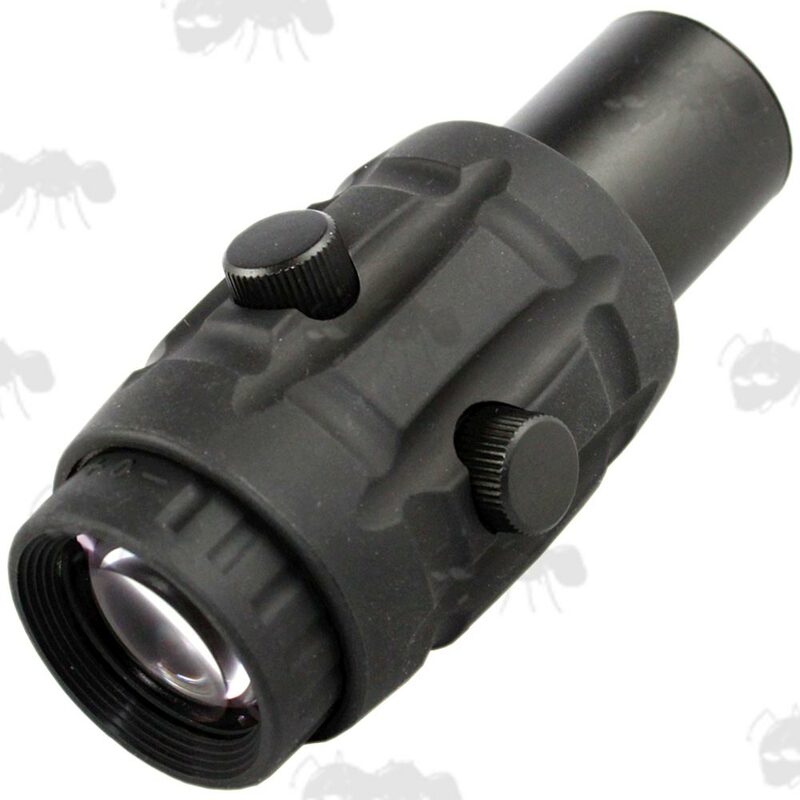 It is truly one of the best magnifiers on the market. This magnifier will preform as good or better than those costing £300+ and for a fraction of the price. Paired up with excellent flip to side mount that holds tight yet at the push of a button can disengage the magnifier to be flipped to the side. The 3x magnifier with flip to the side mount converts the sights instantly into a sighting system for longer range targeting and observation use. 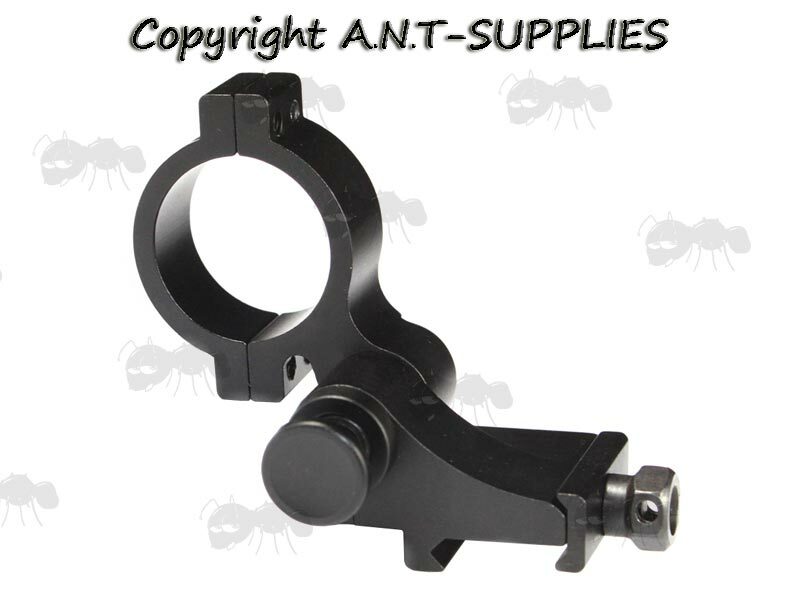 This is a professional grade Vector Optics magnifier which is adjustable for windage and elevation to better align with the red dot Sight without changing the actual ZERO of the sight. The flip mount when pushed rotates to stay on and off line of sight quickly. 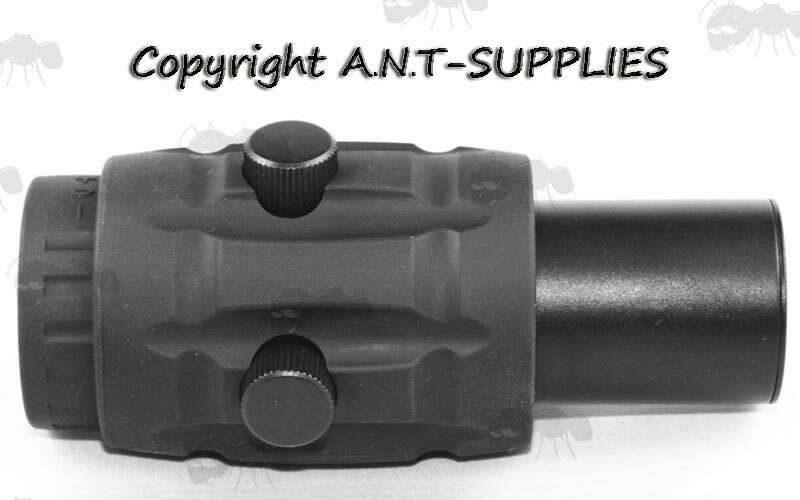 You simply need to make sure the center height of the mount used matches that of your sight. Flip to side at 90 degrees. Height ~ 36mm from the base bottom to the ring center. Fits on weaver / picatinny rails. High quality rugged aluminum alloy in durable black matt finish.